§ 3 Responses to A Trio of Central American Beauties: Hot House Queens from the Tropics . . ."
Tulip Ginger is such a gorgeous shade of pink! Is she edible? I think I can just make a out a nice looking chunk of root just in behind? 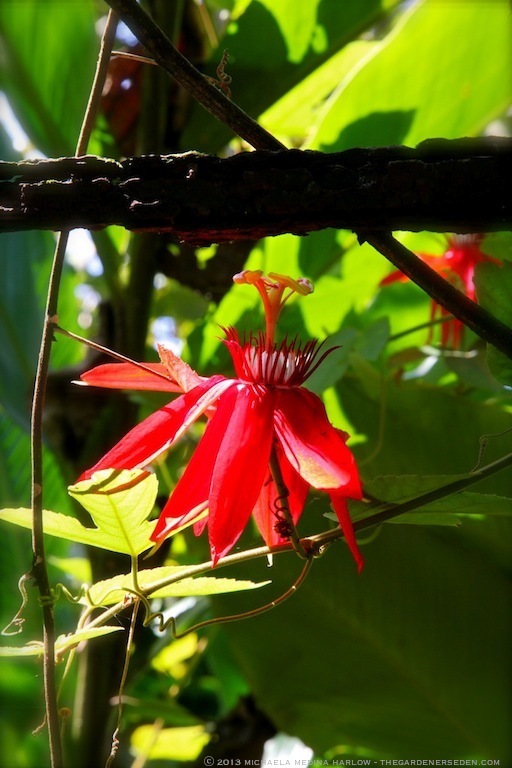 Love the Crimson Passion Flower! Other than being a little more delicate in appearance, does she have a similar profile to the regular purple/mauve ones we get up here? 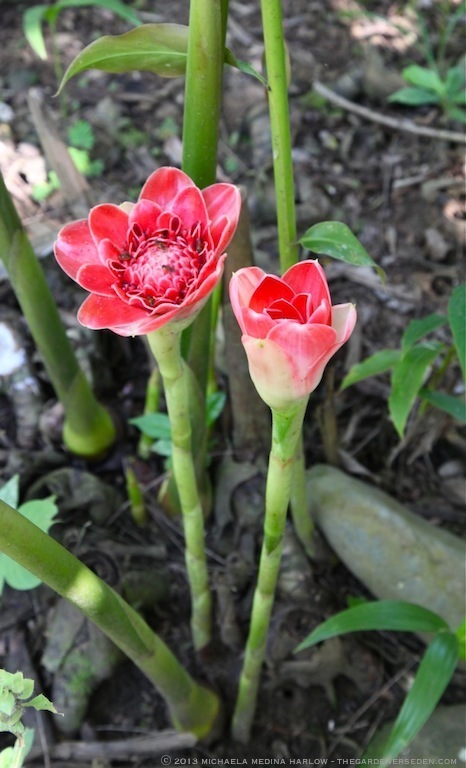 Just double checked on edible usage and my book on tropicals confirms that both the flower buds and ripe seed pods of Etlingera elatior have edible use in Asian dishes (flower buds cooked & raw in salads and ripe seed pods used in fish dishes). You are currently reading A Trio of Central American Beauties: Hot House Queens from the Tropics . . . at The Gardener's Eden.